Ellen Kuras is one of the more creative cinematographers out there - not to mention one of the very few women in a notoriously male clubhouse - and if you've seen movies like "Eternal Sunshine of the Spotless Mind," "Blow," or Spike Lee's latter-day work, you know the visions of which she's capable. How do such gifts translate to a documentary? "The Betrayal (Nerakhoon)," Kuras's directorial debut and a labor of love 23 years in the making, provides a few answers. Self-consciously poetic and shot within a luscious inch of its life, the film's also an engrossing heartbreaker: a family saga that spans continents, political administrations, and decades of travail to arrive at a harder, wiser place. "The Betrayal" is narrated by Laotian émigré Thavisouk Phrasavath, telling his own life story as well as serving as the film's co-director and extremely capable editor. 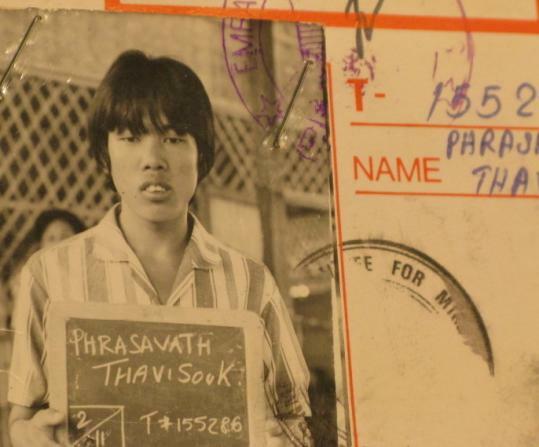 His journey is familiar in outline and wrenching in its particulars: The family of an army officer who collaborated with the Americans in the secret bombing of Laos from 1964 to 1973, Thavi and his mother and siblings were ostracized when Saigon fell and the Communist Pathet Lao took over their country. They fled to the United States and washed ashore in Brooklyn: a single mother and eight children sharing a two-room apartment with Cambodian refugees. The title of "The Betrayal" refers to our country's abandonment of its Laotian allies in the never-admitted bombing campaign. (The numbers still shock: Three million tons of explosives were dropped on the country, more than were used in World War I and World War II combined.) Every indignity visited upon the Phrasavaths represents a breaking of faith - the American Dream turned curdled and mocking. Kuras shoots the film not in straightforward documentary style but as a kind of agonized tone poem, with misty footage of the old country and staged scenes of Thavi's mother releasing a turtle into fetid local waters in a transplanted Laotian luck ritual. Howard Shore's score is quite beautiful but comes on too strong with its keening vocal incantations. The turtle's shell has been coated with gold paint; the movie is similarly gilded. The story's strong enough to survive, though, as is its protagonist. Late in the film, Thavi's father turns up, alive and married with a second family; there's a remarkable scene in which the son calls the father on the phone and lays a lifetime of righteous guilt upon the older man with patient, unerring calm. Later, when tragedy visits the father, Thavi is one of the first people he calls. "The Betrayal" isn't an explicitly political documentary, but the radioactive fallout of political decisions hangs in the background of every frame. Thavi's family is lost in America because US policy makers thought they could detonate a new world order into being; as the father says, "I collaborated with the Americans to bomb my own country to save it." It's up to the next generation to fit the pieces back together and move on into life. In this film's final, intensely moving passages, healing has begun on no one's terms but the Phrasavaths' own. At: Museum of Fine Arts, today and various dates through April 23.